Vacancies are advertised along with a job description and a person specification. All candidates wishing to apply must fill in an application form and then the Manager and the deputy choose a shortlist of applicants by matching the applicant to the job description and the person specification. At this point names and personal details are not looked at. Each shortlisted applicant is then invited to spend part of a morning or afternoon at the nursery, during which time he/she will be observed in his / her interactions with the children by the Manager and one of the Room Leaders. The applicant is then interviewed by a panel consisting of Manager and the deputy (and a third person for higher posts). All those on the interview panel ask questions prepared and agreed between them in advance. Notes are taken during the interview to aid later discussion and decision-making. After all applicants have been interviewed the interview panel meet to discuss and choose the correct person for the job. All posts are subject to a clear enhanced DBS disclosure (which includes the Protection of Children Act list/List 99 check), and references. 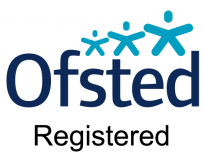 The results of these checks are kept in the staff members file at all times for Ofsted to see and are updated annually to check for any changes to them. The first category consists of staffs contracted to term times only. They are contracted to work 38 weeks of the year during term times, but are asked for occasional cover. The second consist of staffs contracted on full-time basis. They are contracted to work 52 weeks of the year. The third is our bank staffs. 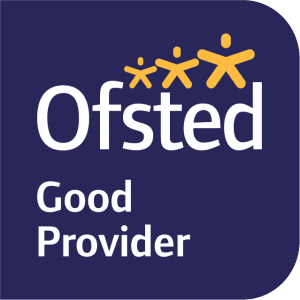 They are called upon to cover holidays booked in advance or occasionally called at the last minute if a regular member of staff is taken ill.
At Blossom Patch Nursery, we don’t have a high turnover of staff because we have a very open relationship between staff and management. The Manager is always available if a member of staff wishes to discuss any aspect of their job, or home life, which affects their working day. We always try to be as flexible as possible with our staff, as long as it bears no negative effect on the children in our care.